IPVanish - Hide Your Online Identity - MONEY BACK GURANTEE! Re: IPVanish - Hide Your Online Identity - MONEY BACK GURANTEE! Super-Fast Connections - We are the only tier-1 VPN network, meaning faster and more stable speeds for you. No more video buffering! 100% Online Security - IPVanish is the best way to protect yourself from cyber threats and unsecured wi-fi hotspots. Easy and Free Software - Simple point-and-click software for all your devices. 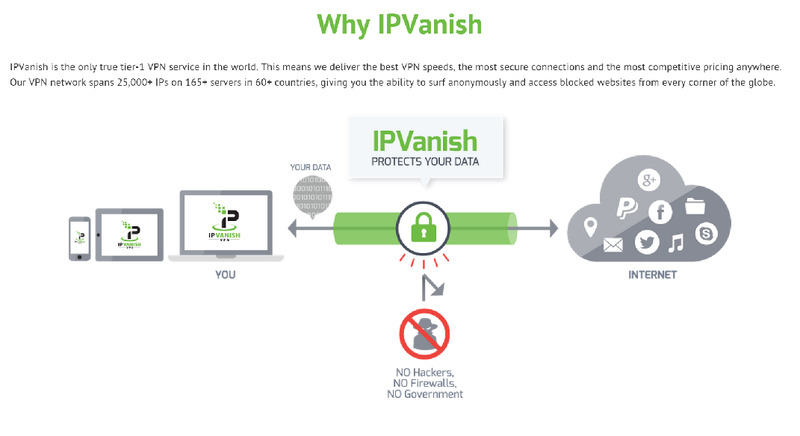 The Best VPN Network - IPVanish offers secure connections to 25,000+ IPs on 165+ servers in 60+ countries. Access the web virtually from anywhere in the world.